This second-last post in the mini-series on PDF management systems gives you an insider’s look into Sente’s companion app for the iPad. 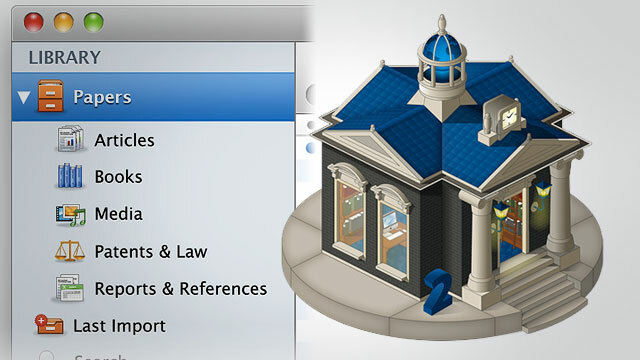 Sente for iPad is free for small libraries of 100 papers or less. If you want to have more papers in a library, an academic premium account asks for a one-time fee of $30. Its getting more complicated when your library attachments need more than 1GB storage on Sente’s servers, at which point you would have to look into storage top-ups that start at $20 a year, but bottom line is this: Sente is free for beginners, and very affordable for most people. Sente says that a premium account with 1GB storage will be good for about a total of 1000 typical journal articles (across all your libraries! ), and this is pretty accurate. Annotating journal articles is one of the top reasons why people in university buy an iPad. But how do you find a good annotation app, without spending a ton of money upfront? The best apps offer a simplistic and beautiful interface that allows people to use the software in an intuitive way. 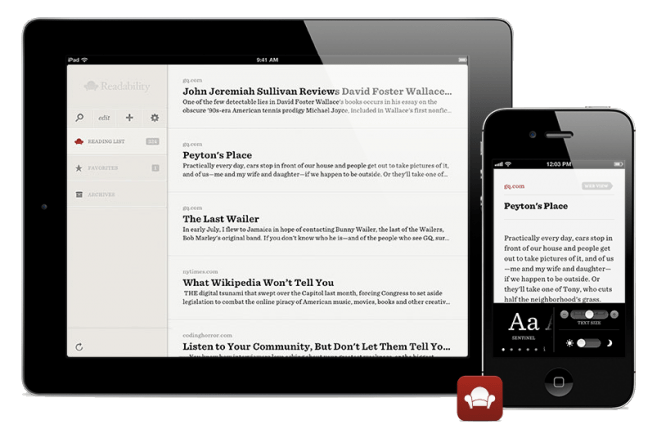 Papers by mekentosj is one of these apps: Through its iTunes-like interface, Papers allows you to organize and annotate your endless collections of journal articles in an easy and fun way. Finding, reading, annotating, and citing journal articles is our daily bread as academics. But are we good at cutting it? How many times have you searched for “that perfect paper” you have read just a few weeks ago!? Or have you ever almost missed a submission deadline because compiling the bibliography “took a little longer”? 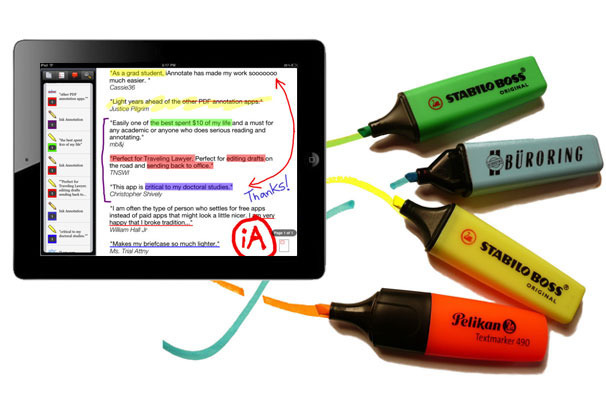 For most people in university and college, the ability to annotate PDF files is one of the main reasons for buying an iPad. 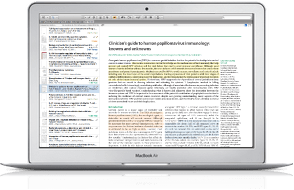 There are hundreds of apps out there that let you annotate PDFs: how do you know which one is the best one for you? Rather than discussing one particular app in detail, this post presents the bigger picture by discussing three different user profiles whose needs are different with regards to PDF annotation and management. Once you know what type of user you are, you can check out the overview of 10 (plus 3) apps, my personal favorites, and some thoughts on using a stylus. With all this information, finding out what app you need to annotate PDF files “your style” becomes a piece of cake.